Soft, shiny, naturally conditioned hair in a bar. 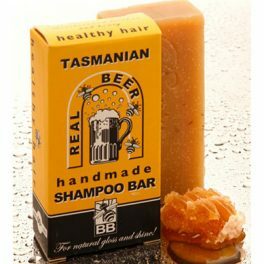 Tasmanian Beer Conditioning Bar-with the ingredients and scent that you love in our Beer Shampoo bar…for perfect hair naturally! 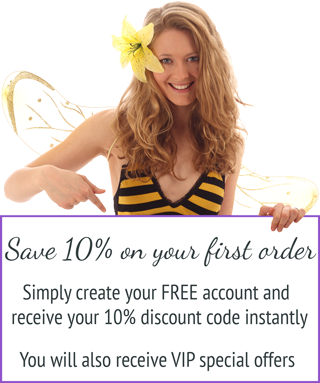 Moisturising, detangling, and rinses out completely, leaving hair very soft and glossy. 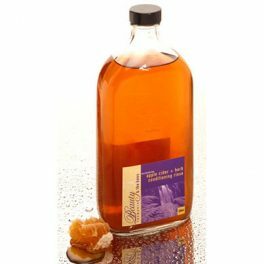 Great for travel- and can even be taken on board as it is not a liquid. Unscented for those with sensitive skin, eczema, psoriasis or allergies. This is like butter! It is so smooth and makes my hair soo silky. It also smells devine! I wish it was larger! Thank you for your kind words and taking the time to write. This is a great product, it lasts for ages as you only need to use a tiny bit, keep it out of the water when not in use as much as possible to prolong it’s shelf life. I wanted to wait until I had used this product properly before I left a review, and I’m glad I did. I have very brittle hair, quite fine, and it always has split ends after a month. No matter what shampoo and conditioner and hair mask my hairdresser gets me on – including $200 a pop keratin treatments! – nothing has helped me growing my hair. However, I’ve now been using this product for over a month in combination with the beer shampoo and WOW! My hair feels so unbelievably healthy. Even after 3 or 4 days I can still get away with it not washed as it doesn’t go disgustingly oily like it does with other shampoos. I never knew it was the product that left my hair oily! I always thought I was just my hair! But now, my hair has adjusted to how it should and it’s happy hair haha. You barely have to use any product to work up a soapy lather, it’s amazing! Couldn’t recommend enough! Note: it did take 2 goes before my hair adjusted but now it’s fantastic. The first 2 it felt a little sticky, but I think I also used too much of the conditioner and don’t put it on your roots! 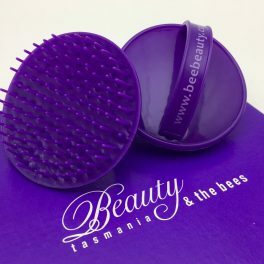 You really don’t need much of this product, just chuck it on the ends from mid way down your hair. Wow Lauren, that’s great news. Thank you for taking the time to write and for your kind words. I have recently been watching the documentary war on waste and have been trying to minimise plastic containers. I was really reluctant to change from my regular conditioner, because I have curly hair that can get frizzy, but I am so impressed with this conditioner bar. I honestly wish I had been using this for years, its such a great product. We have so many new customers who do not want plastic containers for their shampoo, soap, conditioner etc. I used this conditioning bar for the first time today and I was very skeptical … but not any more. My hair has gone from dry and brittle to soft and shiny in one application. I don’t know how it works, but it does. Such a beautiful product and one I will continue to use. This is an excellent conditioner for beards. It makes the hair soft and helps keep it under control. Nothing makes my hair softer than this conditioning bar. I will never use another condition ever! Best thing on the market for dry hair. After the 1st time using this conditioner, in conjunction with the Morrocan Mud shampoo bar, my dry, frizzy hair was so smooth, so shiny, so glossy and so soft I was honestly stunned! Best beard conditioner on the market. This will add softness and strength for an award winning beard. I love this conditioning bar. It has made the natural curls remain in my hair after washing and kept the foils longer in my hair. Every day is an awesome hair day now and I can’t stop looking at my hair. It’s amazing due to your products. I’m never going to stop buying them and they are so economical. My sister is going overseas in a few months and is going to try your hair products. I have given her a same of your cleanser and she loves it. Keep up the good work! This is absolutely divine, it has a warm spicy smell, that I find comforting and it feels so soothing on my scalp.But most of all it is actually conditioning and softening on my hair, amazingly so. 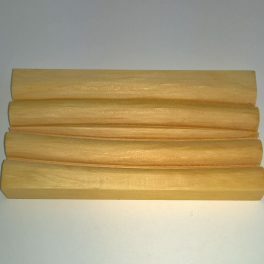 I have thick, frizzy, dry, curly mid-length hair that needs lots of moisture and have experimented via Etsy and elsewhere with other conditioner bars, and can say after just one use that this is the best that I have tried so far.The beautiful, responsible ingredients used can also not be ignored, nor the quick express delivery. thank you for such sustainable and elegant products that I look forward to using! 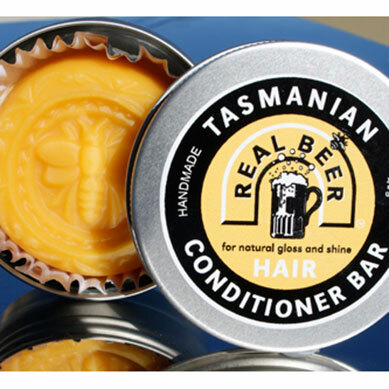 i tried the beer hair conditioning bar for the first time today. I have chemically treated hair with foils and when i do not treat and blowave it just dries to a mass of frizz. Today after using the beer conditioner bar i let my hair dry naturally and WOW IT’S AMAZING! NO FRIZZ. My hair has dried into a nice shape and it is soft, shiny and very manageable.